NEI and The Barton Football Academy are excited to announce our 2012 Northwest Combine Tour. Our first event will be held at Spiegelberg Stadium in Medford, OR on Sunday April 1st. We will be hitting 10 Northwest Cities over the next 3 months culminating in a 2 day event on June 29th and 30th, where their will be a significant number of Division 1A and 1AA schools from around the country in attendance. The coaches from those schools will be signing off prior to the event with their name and a confirmation email so everyone will be able to see who is coming. Over the next few months, many more schools and coaches will be confirming their attendance. This is an early list of the schools and coaches who have already confirmed they’ll be in attendance. Oregon State(Ryan Gunderson), Wyoming(Pete Kaligis), UCLA(Marques Tuiasosopo), Arizona St(Chip Long), Eastern Washington(Zak Hill), Portland State(Nigel Burton), Colorado(Mike Tuiasosopo), Hawaii(Chris Weisehan). For the last few months we have been holding workout events in both Portland and Seattle with the region’s top athletes. These camps and combines are a way that we can reach each major city in the Northwest and evaluate ALL of our top talent. We understand travel can be difficult, that’s why we are coming to all areas of the Northwest so no one will be missed. Each Camp and Combine will be taped in its entirety by Eric Edison and his staff of cameramen from NEI TV. The next week it will be broken down and rebroadcast in a sportscenter type format on NEI. We will have an “All Camp and Combine Team” for each city, with individual awards given to those players. Each kid in attendance will have their results posted on our NEI site(unless asked not to), and have all of their information sent to EVERY College in the Country. Many D2, D3, and NAIA schools and coaches will also be in attendance at our Combines. At our last Combine held on June 29th and 30th their will be coaches and schools represented from every division, D1A-NAIA. ALL ATHLETES are invited to our Combines and must attend at least one of our regional events to qualify for the 7on7 at the two day event held on June 29th and 30th. We are extremely excited to get the spring season underway. Northwest football is being elevated to heights never seen before and we will continue to do our best to make sure talent doesn’t go unnoticed. We are always updating our rankings, so these Combines are a chance for kids who aren’t currently on the list to get onto it. It’s also a chance for kids who are currently on the list but not as high as they’d like, to show what they got in person and potentially move up the rankings board. 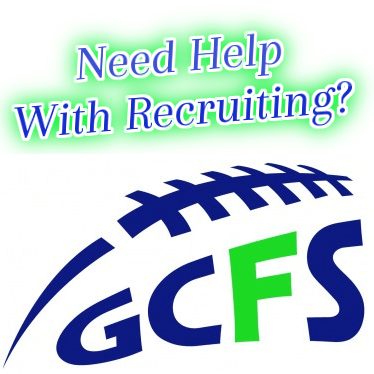 Our site is now used by Colleges and College Coaches throughout the Country as a resource for recruiting the Northwest. We are also working closely with Scout.com and their Northwest and West Coast lead analysts Jake Worthen and Brandon Huffman, respectively. They are the #1 site NATIONALLY that College Coaches use as a resource about High School football players. So the workout and exposure kids will get at these Combines is unprecedented in the Northwest. We are from the Northwest ourselves and very proud of that fact. There are a lot of great players from this region that just need a chance, and we are now providing that opportunity. We have also been asked by athletes or their parents if it’s okay to attend more than just 1 of these Combines. The answer is ABSOLUTELY. That will give us more opportunities to see and evaluate a kid, as well as give him more exposure. And most importantly, it allows a kid to go compete against the best kids from each specific region. If you want to be the best, you have to go compete against the best. This Combine Tour will finally put to rest who the top players in the Northwest are. Their will be no more room for speculation from analysts who have day jobs, then try to cover kids based off of evaluations they get from parents a lot of the time(sad but true). Their are a lot of BIG TIME athletes and players from the Northwest. For a long time we’ve wanted to show the Country and College Coaches from around the nation what we’re all about. With the exposure from the NEI/Barton Football Northwest Combine Tour, we are finally able to do that. Looking forward to seeing all of you there.